Your Day is near and you are dreading all the gold and diamonds and that hefty wedding lehenga of yours. 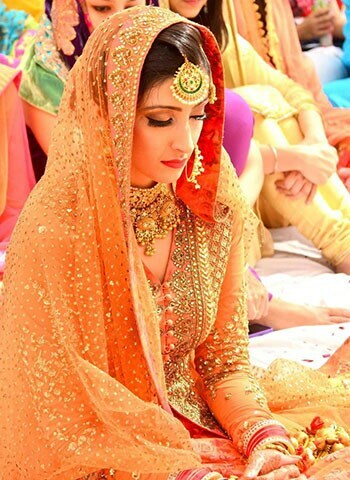 Sure, it will make you look beautiful, but who wants to look like every other ‘pretty’ bride? ‘Pretty’ cliché isn't it? So, if you don't want to follow the conventional route and wish to look a little hatke without shocking err.. upsetting anyone, then we have some ideas for you. Avoid gold and grand neckpieces; instead go for simple medium length or broad chokers. You can skip on earrings or opt for studs and go for a dramatic maang tika or a nath (nose ring). Remember to keep a subtle balance between your outfit and the jewellery you choose. Not a fan of reds and pinks? Break all rules just like Kangana did with this stunning parrot green lehenga in Tanu Weds Manu. Team it up with layered jewellery and make a bold statement with a red pout. You must choose a shade of green according to your skin tone. Crop tops are definitely the thing this season. And the good news is you can totally wear one on your wedding. 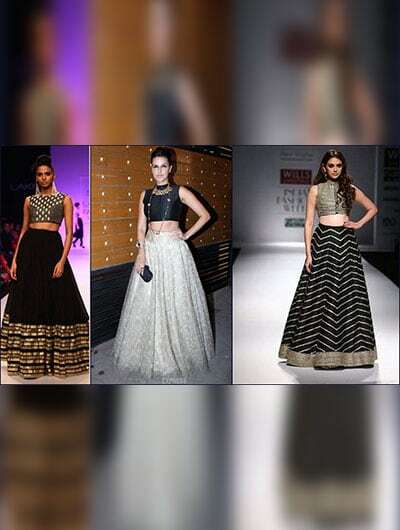 A crop top looks equally amazing with a bridal saree or a high waist lehenga. Choose a full sleeved crop top to add that bridal grace. Floral print lehengas are totally offbeat, chic and exquisite. They look perfect for day weddings and sundowners. With a little bit of bling, they make for a truly sublime night-time look too. Give those bridal buns and puffs a break, and go for a hairstyle that stands out. Why hide your hair in a dupatta? Try a retro hairstyle with open curls, messy or neat plaits or curled side-swept do. Don't forget to add some hair accessories. 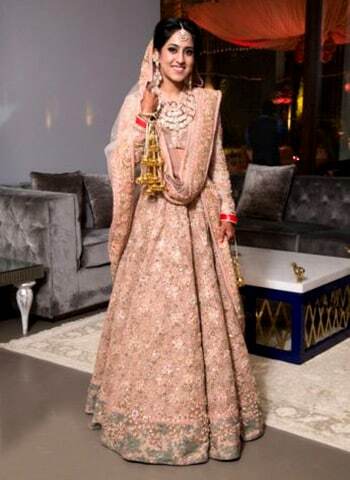 Go against the ritual colors and make your own statement with a light pastel hued bridal lehenga in shades of peach, mint, ivory or even baby pink. Subtle jewelry and minimal makeup will perfectly bring out the outfit.